Happy Friday! 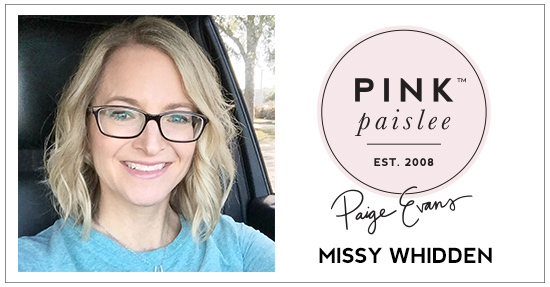 I'm back today with a new layout for the Paige Evans Design Team. I was in a star mood when I started this page. I began by stamping and embossing the stars from the Turn the Page Layerable Stamp Set all over my white cardstock background. I used a few blue Distress Oxides to really make them shine. I then used the positive and negative cut outs from Paige’s Concentric Stars cut file. I decided on a yellow, light pink, and aqua color scheme so I sorted through several of Paige’s collections to find just the right papers. I used papers from the Fancy Free, Take Me Away, Turn the Page, and Pick-Me-Up collections. I cut out all the stars for the outlines originally, but once I had the centers to play with, I wanted to work them into my design as well. I glued down the star outlines and added my photo over to the left then I used the full stars as layers behind it. I added some machine stitching details to them. I used some of the Turn the Page Chipboard Stickers to add a few more stars and then punched a few more stars from vellum. On a whim I decided to add in a few fussy cut flowers that matched from Turn the Page Paper 02. I love how the embossed stars turned out! Such a great way to get shine, texture, and dimension. After I got all the full stars and flowers layered together, I tucked in a few pieces from the Pick-Me-Up Chipboard Stickers and added some tangled thread. I hadn't originally planned on mixing soft flowers with hard-edged stars, but I wound up doing it...haha. I like how it looks, and that's what matters, right? This chipboard piece here is actually a tag, but I just cut the top part off and used the sentiment. For my title, I combined the Pick-Me-Up Mini Thickers and Chipboard Thickers. I overlapped the letters to create a bit of dimension. I also added in some stickers from the 30-page Paige Evans #StickerBook to finish things off. I absolutely love the effect of vellum. It's a great addition to any areas where you want to add a little something but don't want to go overboard with color or pattern. These stars were perfect. Here's one more close-up...I love this star cut file! The texture it creates is so good, and it's just one of my favorites! There are so many ways to use this awesome cut file. I really love that you can use all the pieces that are cut. Hopefully this inspires you and gives you some fun ideas to try on your next layout. Thanks for stopping by, and have a fabulous weekend!